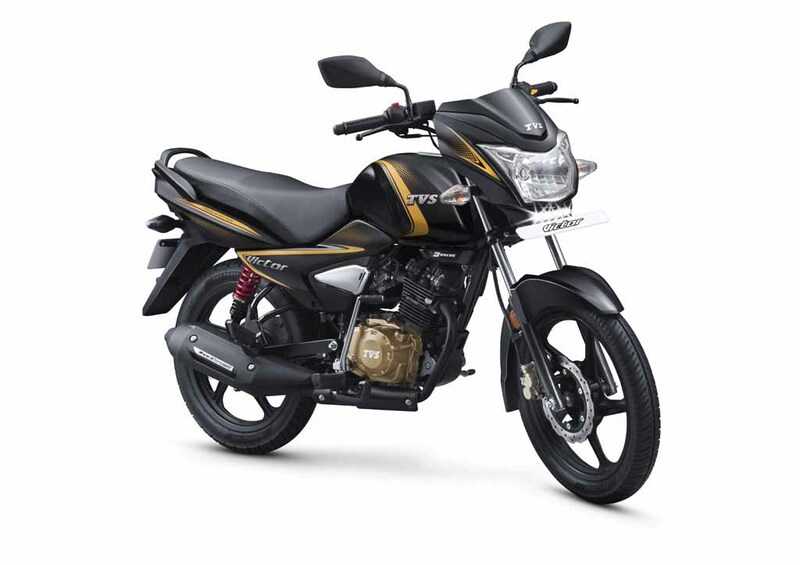 After the launch of the TVS Star City Plus Special edition few days back, the company now rides in the premium version of its 110cc commuter Victor. The most significant update in the new TVS Victor is the fresh colour scheme that makes it look different from the standard model. The TVS Victor Special Edition has been launched in India at a price of Rs 55,065 (ex-showroom, Delhi). The said trim will be available for the disc brake variant only in a dual tone shade of black & yellow. Besides the new colour, the special edition bike also receives a host of interesting features. The side panels receive a chromed portion that justifies its premium tag. Furthermore, the motorcycle also gets a body coloured rear body grab rail that looks sporty. The engine has been drenched in a gold colour with the help of hich, it now looks unique & impressive with black surroundings. Last but not the least, the new TVS Victor also gets DRLs (Daytime Running Lights) above the number plate that comes as a result of Automatic Headlamp ON (AHO). The said feature has got mandatory for all new two-wheelers in India starting April 2017 and is a preventive measure to minimise the number of accidents. Mechanically, the TVS Victor Special Edition continues to get its power from the same 109.7cc engine that runs the standard model. Gearbox is a four-speed unit. The refined carbureted motor develops respective power and torque of 9.4 bhp and 9.4 Nm. The motorcycle comes assisted with an optional 240mm disc brake upfront that completes the braking set up with a 110mm drum brake for the rear. 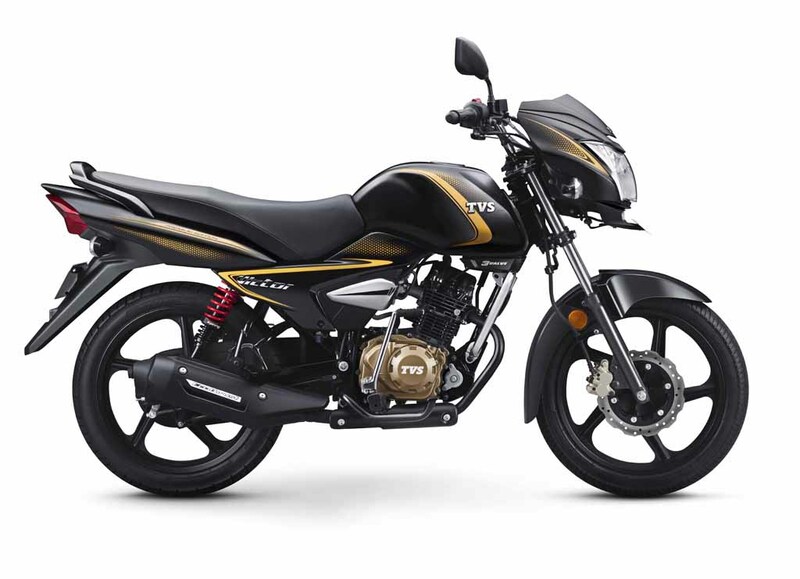 Suspension duties are taken care of with the help of conventional forks at the front along with five step adjustable twin shock absorbers for the rear. The instrument cluster on the TVS Victor is a digital analog unit that sports a tachometer as well. Having said that, the bike is the only one in this segment to feature a rev counter. Another segment first feature is the hazard lights that can be switched ON and OFF with the help of a red switch on the right handlebar.